Initially launched in November 2014, the Rogers and Shaw backed streaming service Shomi will be unceremoniously shuttered on November 30, 2016. Outsiders can only speculate on the reasons for Shomi's failure. However, there is hope for Canadian streaming media fans that a major player could be entering the market soon. There is some speculation and evidence that Amazon will be expanding its streaming video service to Canada soon. Recently Amazon announced (via a video featuring The Grand Tour hosts) that the Amazon original series The Grand Tour will be coming to Canada in December 2016. There are no further details on this launch yet, but with November coming to a close, we expect more to be revealed soon. 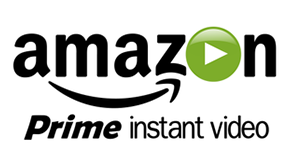 In the meantime, there are reports that a Canadian Amazon Prime account can currently be used to stream Amazon Video originals for which Amazon owns the global rights (such as The Grand Tour). Clearly Amazon is working on bringing its video streaming service to a wider audience, and soon. It will be a welcome addition to the Canadian video streaming market where Netflix reigns, CraveTV exists, and Shomi is dead. As well as providing some competition and options, it will mean Canadians will be able to legally watch content that was not otherwise available such as The Man in the High Castle. So while Shomi showed some promise in its short life, it will be soon forgotten if Amazon launches its video streaming service in Canada in a big way. Amazon Prime Video is now available in Canada.